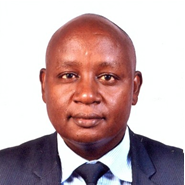 Mr Urbanus M. Mbindyo holds a Masters in Business Administration (MBA) from the University of Nairobi, Bachelors of Business Administration (BBA, Accounting option) from Maseno University and is a Chartered Marketing Analyst (CMA) from the Global Academy of Finance and Management (GAFM). Urbanus is a graduate in Principles of Government from the Academy of Public Service, Caux Round Table – USA, the Institute of Risk Management, Centre for Corporate Governance (CCG) and a member of Kenya Institute of Bankers. He is a certified ISO 9001 Internal Quality Auditor (KEBS). He brings over fourteen (14) years’ experience in senior management, both private and public sector, having worked for both Kenya Women Finance Trust (KWFT) and LAPFUND between 2002 and 2017 in strategic marketing and operations management.